All photos courtesy of Patrick O’Cain and Gàn Shān Station. CP: Tell me about your class. What will you be doing? PO: The class is intended to be a general introduction to modern Asian cooking. We will have some basic set up and technique, and then get into some of the stuff we get into here in the restaurant, which is regional Asian. 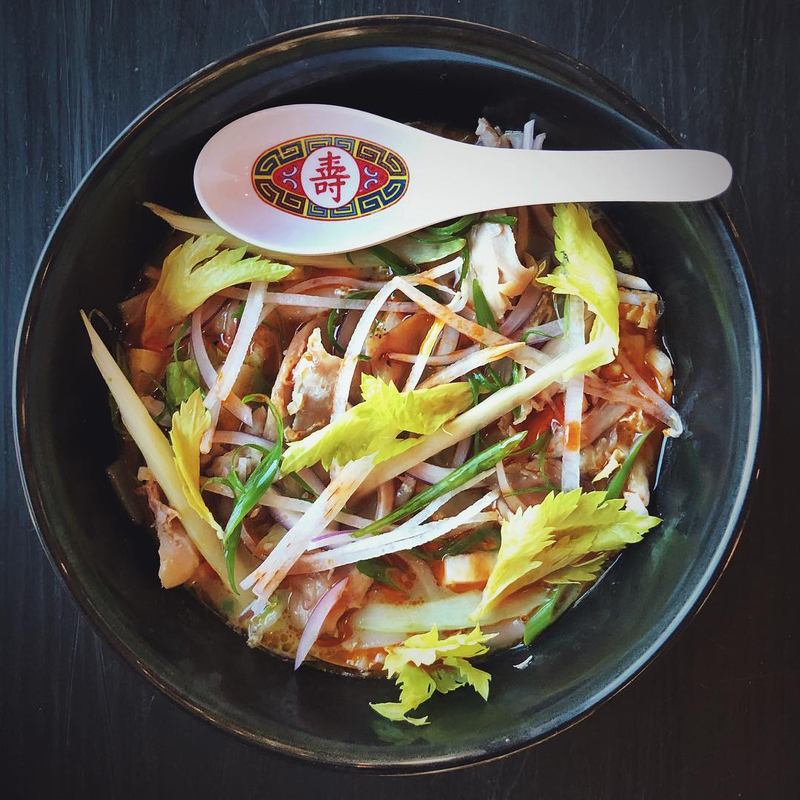 Gàn Shān Station focuses on all of East Asia, which gives us a huge array of dishes to choose from. My idea is to go into some of the main avenues of Asian cooking and also into an understanding of the food histories of these cultures. 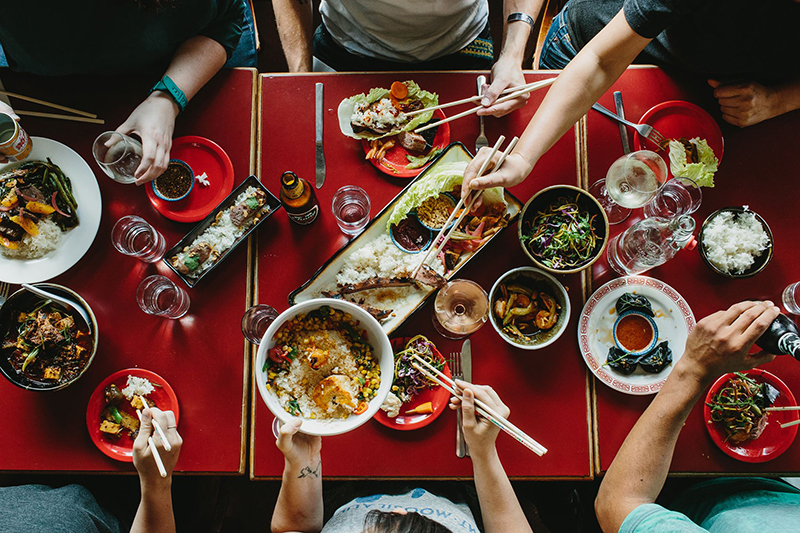 China is a main hub where everything comes in and out of in terms of Asian culinary tradition. Over time, countries and regions have had invasions and migrations. 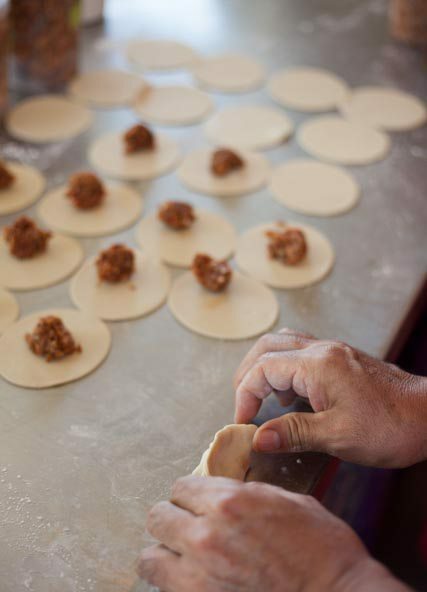 People from one culture bring their traditions including those of food. There’s a lot interconnectedness, which is prevalent in food culture all around the world. CP: Who is the ideal student for your class? PO: The ideal student would be someone with a good base in cooking experience who appreciates a bold palate. We will have a whole section of cooking rice; rice is a big deal in South Asia. Most of the food we will be making will have bold flavors and then be tempered by rice. That’s how the dishes are meant to be eaten. You take equal, or even greater portions, of rice with smaller portions of protein. If you are interested in Asian cooking and you like deep rich flavors with a little spice, this is the class for you. It’s intense food. Students will learn new techniques that they can take home an apply to lots of different things. Dumplings are one of the most popular items on the menu at Gàn Shān Station. 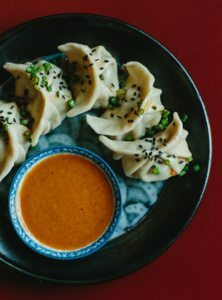 CP: How different is the philosophy between Eastern and Western cooking? Is it mainly a difference in ingredients and spices, or is it a whole different approach? PO: The cooking techniques themselves are very much different. The Asian pantry doesn’t use the oven all that much. 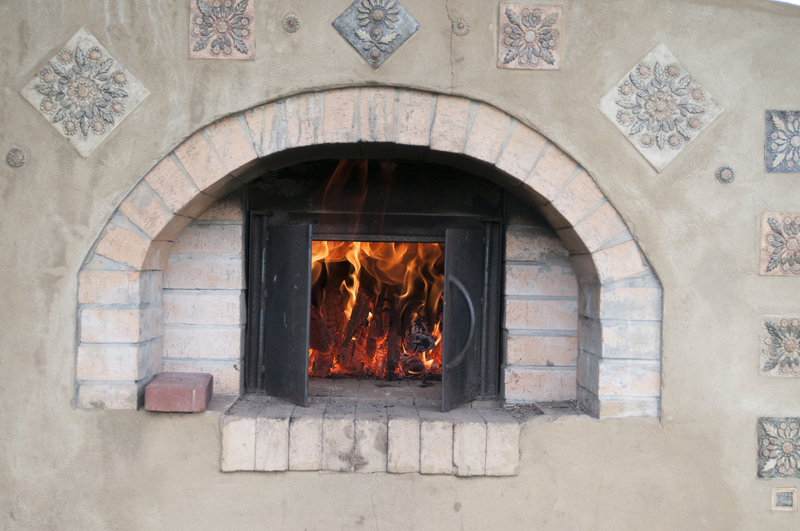 It’s high heat, quick cook times, burners; it’s based on cooking over an open fire. In ways it is cleaner and more straightforward. For example aren’t taking hours to boil down broth for sauce preparation. CP: Being a fan of local ingredients and working with farmers, what’s your favorite season to cook in? PO: I think summer. Summer is probably the most exciting. It is certainly when we have the most bounty in Asheville in terms of vegetables and produce. We grow all summer long. 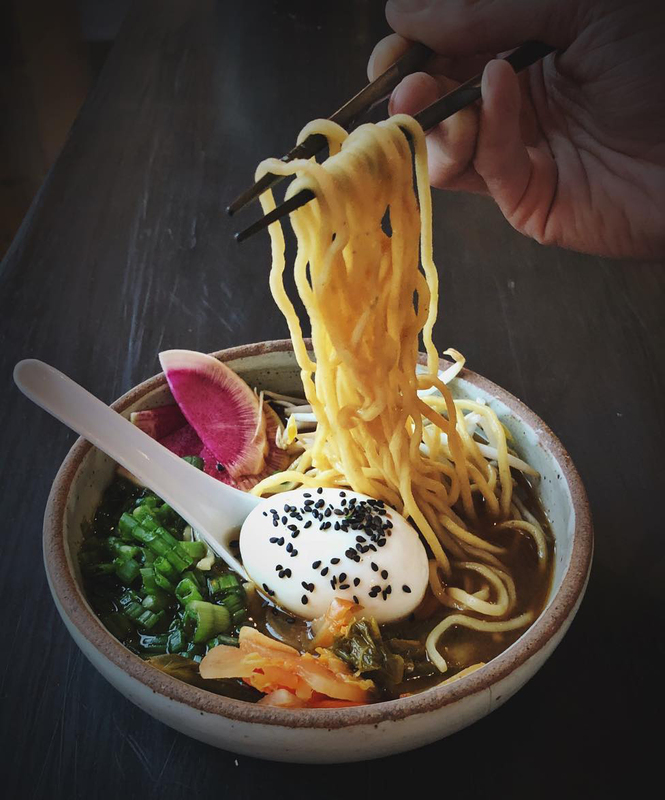 We live in the Southeast region of the US, so we take aspects of our local culinary tradition, certainly working with regional farmers, and apply it to Asian food. Using an ingredient local to this region, even though it may not be a traditional Asian ingredient, just makes sense. CP: As a home cook, is it hard to bring in Asian cuisine without doing a whole kitchen and pantry makeover? PO: Oh, absolutely not. Here in the restaurant, we are not cooking with wok burners. We have a very traditional western set up. In terms of our kitchen, we have deep fryers, a grill, two ranges with burners, and ovens. All this food can be made in the home kitchen, whether you have a wok or not. Table spread at Gàn Shān Station. CP: What are some key flavors or spices you use often? PO: That’s very regional. 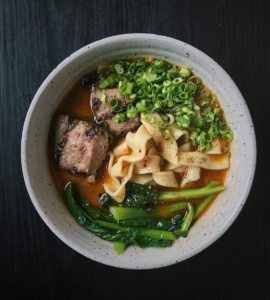 Let’s see, some of the flavors we use in the restaurant are Szechwan flavors, like Szechwan peppercorns and deep rich broad bean paste (which is fermented bean paste), black beans, chilies, lime juice (that strong sharp acidity). Fish sauce is a huge seasoning element because it provides saltiness with a richer flavor undertone. I can go on and on, but I’d say those are foundational flavors: chilies (heat), acids, salt. CP: Is your class good for people with special diets? PO: If you don’t like rice, don’t take the class. If you are on a grain-free diet, this isn’t the class for you. If you are gluten or dairy free, or vegetarian, there are lots of options. We hardly use any butter, but we do use eggs. Many of the dishes can be made vegetarian quite easily. On thing we will do in the class is make our own tofu which will be fun. CP: Do you think anyone can learn to be a good cook? PO: Absolutely. I think there’s some foundational keys to master. It’s about cleanliness and organization. Anyone can organize themselves to be a good cook by having a plan. You have to be patient and know that you are going to miss the mark sometime. CP: Describe the style or motivation behind Gàn Shān Station. PO: Regional Asian. Were not doing Americanized Asian food. You wont find General Tso’s chicken. It’s not cornstarch heavy. It’s not glistening blobs of food on a plate with rice. We are looking for deliberately plated food that looks beautiful as well as tastes delicious. It’s more geared to an Asian palate as opposed to an American palate. We do have dishes on the menu that are easily accessible in terms of offering people an entry point and building trust. My goal is that they will come in and order the curry, and after a few times of ordering that, they will want to branch out and try something out of their comfort zone. CP: What is your most adventurous dish? PO: Let’s see. We’ve had to come back from adventure quite a bit to appeal to the general public, but we do still have adventurous dishes. I’d say the Taiwanese beef noodles or the mapo doufu. Not for the faint of heart! PO: Yes. Just very intense flavor and spices. CP: What’s your most popular dish? PO: Drunken noodles, black bean chicken, and dumplings are our most popular. These are our more approachable dishes. CP: What do you think of the word fusion? PO: I’m indifferent. If that allows people to understand what we do a little bit better, and prepare themselves for coming in here, then great. However, I think all food is fusion. It’s inescapable. Even within a community. If you learn an idea from someone and apply it to what you are doing, that is fusion. Fusion, for me, is just taking different ideas and applying them to what you do. CP: What is your favorite dish right now? PO: In this time of year, I really like mapo doufu a lot. To be honest, I like it any time of the year. It’s just a really great salty, spicy dish. CP: What is mapo doufu? PO: It’s tofu, ground pork, mushrooms, broad bean paste, chili oil, Szechwan peppercorn, garlic, and ginger. You take all that and stew it together in this soupy stew form. Then you top the dish with a ton of raw scallions and serve it with a heaping bowl of rice. The rice tempers the intense, spicy, rich flavors of the mapo doufu. It’s great comfort food. CP: Congrats on the opening of your second restaurant in west Asheville, Gàn Shān West. Is there a difference between your two restaurants? PO: Thank you. It’s going well. Gàn Shān West is a smaller, more casual, counter-sevice restaurant. Heavily noodle focused, especially ramen noodles. CP: Who is your hero? 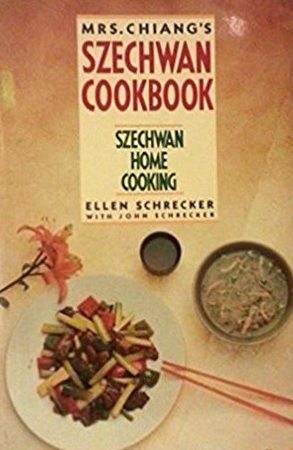 PO: Probably Mrs. Chiang of Mrs. Chiang’s Szechwan Cookbook: Szechwan Home Cooking. That book was so formative to me as part of my childhood, taste history, and upbringing. I’d say she’s the hero of the restaurant. CP: Is that book “the” go-to book on Szechwan cooking, or did it just happen to be a book that your family had? 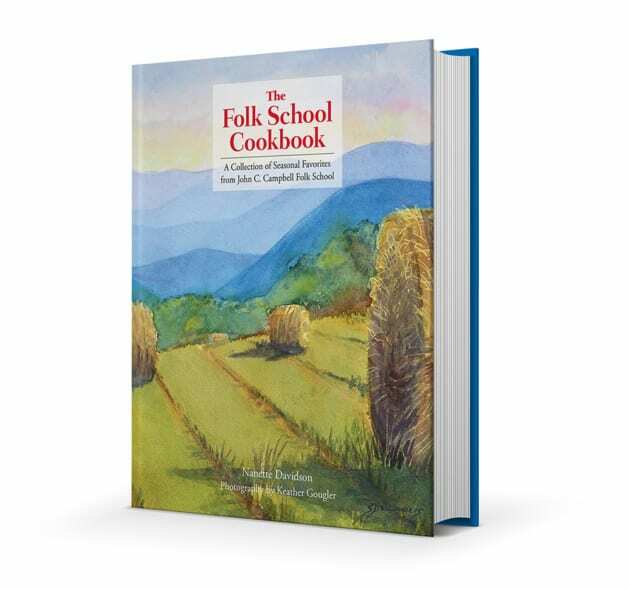 PO: At the time, especially before there was a deep interest in multicultural cooking in the U.S., Mrs. Chiang’s book was the seminal book on Szechwan cooking for over 30 years. Now, cookbooks abound. We have so many options, great resources, places to learn, but Mrs. Chiang’s book is still very important. It’s both a cultural study as well as a collection of recipes. CP: I think it’s fantastic that you integrate craft into your restaurant. Can you talk about your project with Warren Wilson art students? PO: We team up with a ceramic class from Warren Wilson every semester. I go into the class and talk about what we look for as restaurant-quality plates. We aren’t looking for one-offs, it needs to be replicable and stackable. The vessel has to be substantial so it stands up to the wear and tear of restaurant use. We are a bowl-heavy restaurant. Asian food in general is bowl-heavy. The the students come in at the end of the semester and with the plates and bowls they have made. We cook and serve a huge meal on their dinnerware. They get to critique their work and we give them feedback. We get to keep a certain amount of bowls and plates and they take the rest back. It’s one way we connect with the community. CP: You are very involved in community building in Asheville. Can you talk about that? 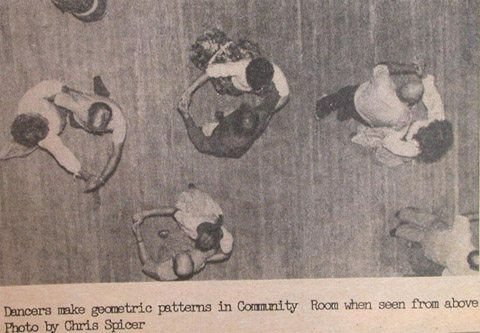 PO: This is the community in which I grew up. Giving back is important to me. Fundamentally, the mission of the restaurant is to nourish and build community. That goes from being in the restaurant (where we are building our own community with our guests and our staff) to going and taking that out into the larger community and giving back. We do that with food and drink and connecting with people, creating experience. We all have to eat. It’s nice that we can put away our devices and go into a space and talk and be nourished. Fits right in with the Folk School philosophy. When you take a class, you are immersed for a whole week in the Folk School community. After an overview of flavor profiles, pantry items, cooking techniques, and equipment specific to Asian cooking, we will move to in-depth exploration of East Asian cuisines and how they can be adapted for the Western kitchen. 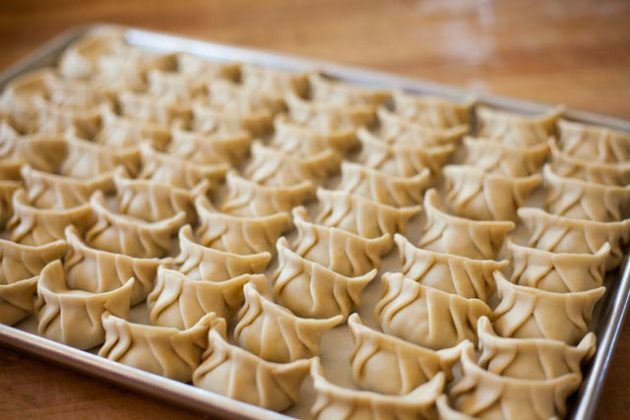 Learn to roll dumplings, properly care for rice, stir fry, steam, season, and employ “cheats” to improve flavor of your dishes. Explorative in nature, this intermediate-level class is ideal for cooks who are comfortable in the kitchen, yet looking to refine their skills. Register on our website or by calling 1-800-FOLK-SCH. Patrick was born and raised in Asheville, NC. 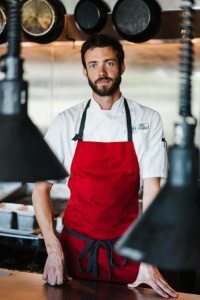 After earning degrees in French and English at NC State, his career began first in teaching and publishing before following his passion into cooking. He attended the A-B Tech culinary program while working at Asheville’s Curate. He received an internship at the renowned McCrady’s restaurant in Charleston, SC, after which he was offered a full-time position. He left McCrady’s to help open Charleston’s Xiao Bao Biscuit as sous-chef. After a year and a half, Patrick decided to return home to the mountains to open a restaurant of his own. Seeing the potential in an old gas station in North Asheville, he established Gàn Shān Station, naming it for the Sunset Mountain neighborhood where he grew up. I noticed you are using multiple images of mine of Patrick O’cain from a pig roast that photographed. I do not appreciate my images being used without permision, compensation or even credit.